We are having a howling good time at Alternative Armies with the last 28mm and Flintloque releases for September now online. If you march with the Emperor Mordred or you are a minion of the Dark Czar then you will have Werewolves in your armies. Two new packs of casualties for these troops with one containing the normal sized Werewolves in two poses (sculpted by Elton Waters) and the other a single badly wounded Big Werewolf of the fearsome Visthowla Legion (sculpted by Sam Croes). Go HERE or read on for more information. Shotte and Shelle, musket and blade; all are lethal to those who receive their deadly kiss. 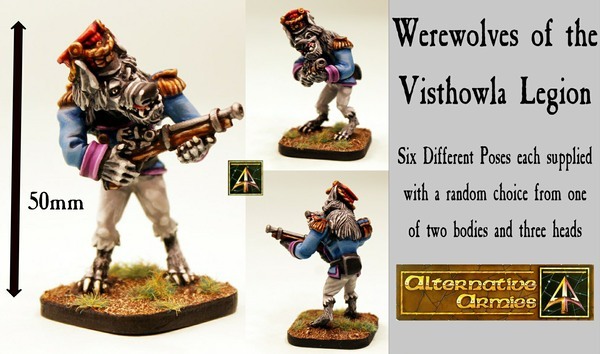 This pack contains four 28mm scale white metal miniatures in two different poses. 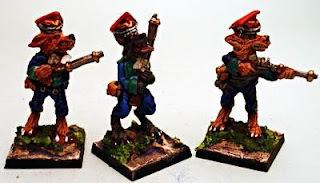 Typical Werewolf soldiers which serve the Dutchy of Coltz and in the ranks of the Witchlands too. Use these in your games of Flintloque and Slaughterloo to mark the dead or use them for diorama or scenic purposes on your gaming table. One casualty is face up and the other face down. You can purchase a pack or you can choose to purchase the pack hand painted and based ready for immediate use. Choose your option on the page. Go HERE. 8.00GBP per pack. 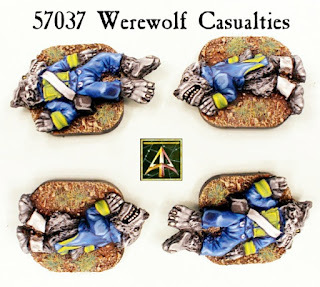 This pack contains one 28mm resin miniature. A felled giant of the famous Visthowla Legion. A big werewolf with a chest wound laying down atop a broken standard. Excellent for use in your 57801 Vistholwla Legion sections and units to mark the dead or to use as a scenic piece. This figure is 40mm from end to end. You can purchase a pack or you can choose to purchase the pack hand painted ready for immediate use. Choose your option on the page. Go HERE. 4.00GBP per pack. 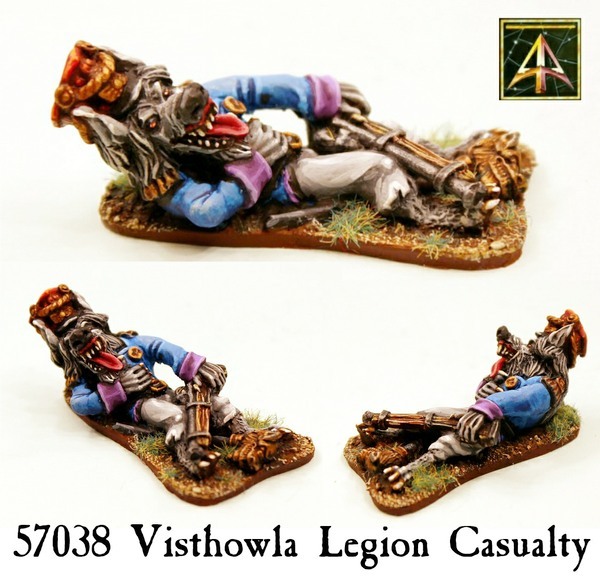 Often the mere mention of the name of the Visthowla Legion makes enemies flee from battle, these are the crack Infantry of the Werewolves. Visthowla towering over their comrades armed with the best weapons and led by the best Officers. There are several legions each serving where most needed, some with the Grande Armee du Norde with almost all of their original numbers still intact. White metal miniature which come with separate head and arms in six different poses they stand about 50mm tall. You can purchase a skirmish pack or singles HERE or a full unit for Slaughterloo with a discount HERE. Get a free Uniformation Article for the Legion on our downloads page HERE (scroll down to the Flintloque and Slaughterloo Latest Free Files link and download it). As part of the Grande Armee du Norde which invaded the Witchlands with the Emperor Mordred at its head the Dutchy of Coltz in Diberia pledged many regiments of infantry. Werewolves were a large part of this and these troops joined the battle line alongside Elves, Dwarves, Dogmen, Ogres and more. 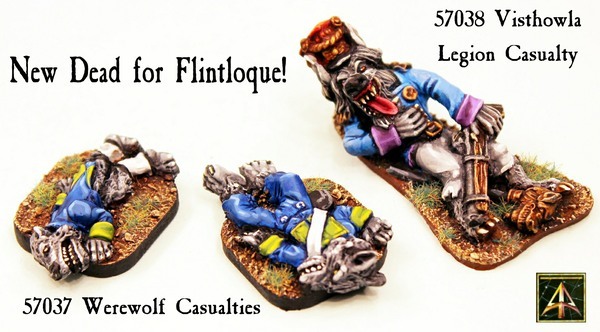 Use them in your games of Flintloque or Slaughterloo with six different poses and a choice of single, pack or unit. Go HERE. 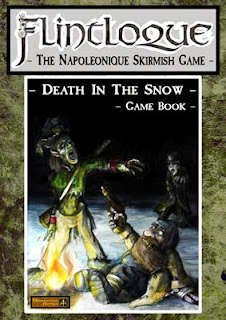 The second book in the new series for the worlds foremost Black Powder Fantasy game Flintloque. Contains full rules for Character driven Section level skirmish gaming along with full background for the Witchlands Theatre of the Mordredian Wars. Introducing the Undead and all rules for them and the forces of the Dark Czar. 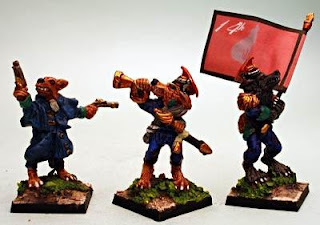 Plus detailed Army information for the Grande Armee du Norde (Ferach Elves, Confederation of Finklestein, Werewolves of Diberia, Centaurs of Coltz), the Army of the Witchlands (the Undead, Vampyres, Ghouls, Wraiths and more). Character creation and Section rules, magicke, skills, traits, flaws both generic and racial specific for MORTAL and UNDEAD. 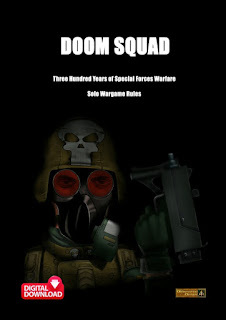 Also Solo play rules and much more. Ninety Six packed pages. Written by Gavin Syme (GBS) with Mike White. 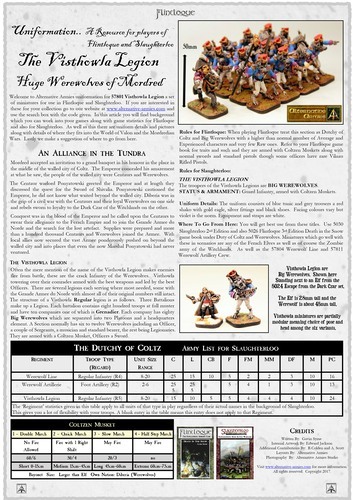 Go HERE for it in print or as a digital download or a shilling service pack with starter miniatures.